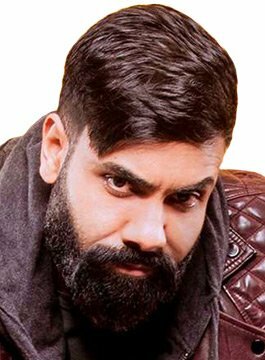 Paul Chowdhry is one of the most talented and popular comedians in the country. Inspired by comedians such as the late Richard Prior, George Carlin and Sam Kinison, Paul is one of the few comics with the ability and diversity to effortlessly straddle the urban and main stand-up circuits as an international headline act – with his highly charged dry observational humour tapping into the multicultural diversity of contemporary Britain. Paul embarked on his third national tour Live innit in 2017, continuing on into 2018. On television, Paul hosted the final series of Channel 4’s Stand Up for the Week, and has performed two headline slots on Live at the Apollo (BBC 2), as well as making four consecutive appearances on Channel 4’s annual Comedy Gala. He brought his uniquely hilarious interpretation to tasks as a competitor on series three of Taskmaster (Dave), and has made regular appearances on 8 out of 10 cats (Channel 4), Very British Problems (Channel 4), and ITV’s Celebrity Squares. His first sell-out national tour, What’s Happening White People, (2012) was spectacularly received, firmly cementing his place within the British comedy mainstream. Rogue Trader (1999) with Ewan McGregor and Anna Friel. He also appeared in It Was An Accident (2000) alongside Thandie Newton and Chiwetel Ejiofor, CBE, and stared in BBC Three sketch show We Are Klang. A seriously funny comedian, Paul has a great dry sense of humour and is experienced in both after-dinner sets and hosting corporate awards.